The caution pattern is still going on Chicago Options: ^VIX Daily. Today, we analyze Chicago Options: ^VIX Daily data. In our 03/27/2012 report, we analyze there is a same pattern when the VIX index jump. 1. The first, the market price cuts 45 degree resistance line from the last crisis. 2. The market price takes a peak “A”, and falls to “B” point as if there was nothing occasion. 3. The market price cuts 45 degree resistance line from “A” point, and the crisis is starting. These 3 crises occur in same pattern. The recent market comes into “Phase 2”. 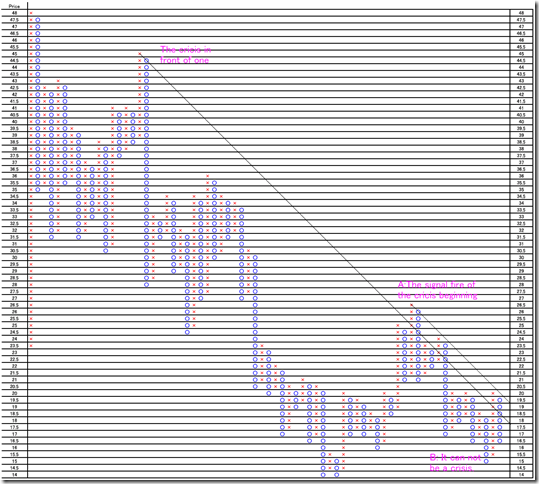 The recent lowest point was 15.45point in 07/19/2012 and this is almost close to the past bottom price. An unpredictable thing may occur. We are careful enough to face the market. We can not see the trend reversal signal in CBOE Interest Rate 10-Year T-No (Chicago Options: ^TNX). Today, we analyze CBOE Interest Rate 10-Year T-No (Chicago Options: ^TNX). 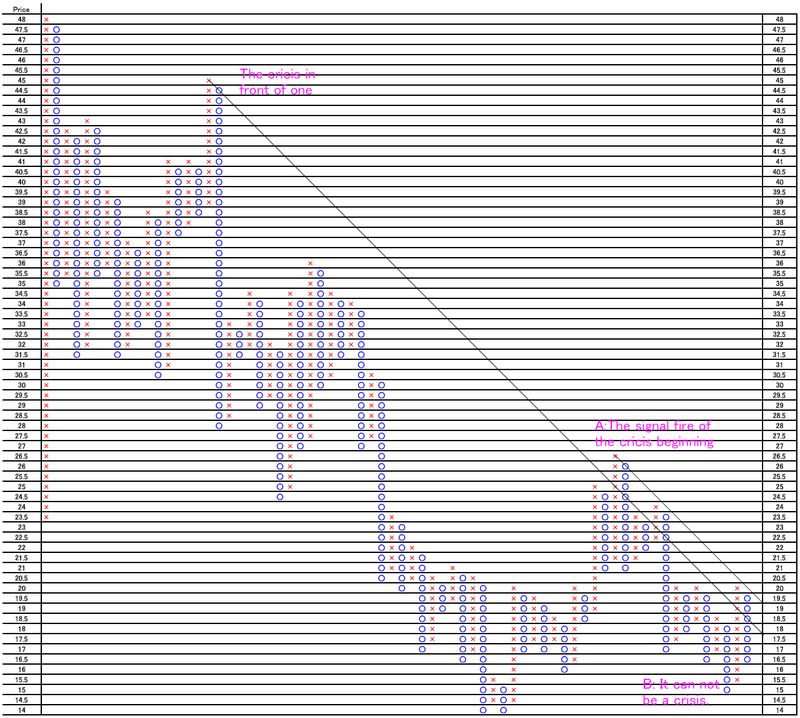 This is 10-Year bond 0.05pt change and 3 box reversal close price’s Point and Figure chart. We think the market need steadiness for some time. We found out the unique character of the P&F chart. 1. Draw the 45 degree line from the recovering peak (after majored breaking). 3. The green line around is almost the bottom point. Applying this rule after 2006 market, there are 8 times occasions and we can apply 7 times. When we applying the recent market, the market price do not cut 45 degree line; this means the market price may not reach the bottom.